-He has a ball joint at the base of the neck as well as pivot joint at the base of the skull, allowing him to look all the way down and over his shoulders when contorted. • A mid-torso joint that allows him to bend his spine forward and back, it also rotates from left to right, like the waist joint. • His elbows and knees are double jointed, which allows free range of movement and the ability to fully crouch his legs. 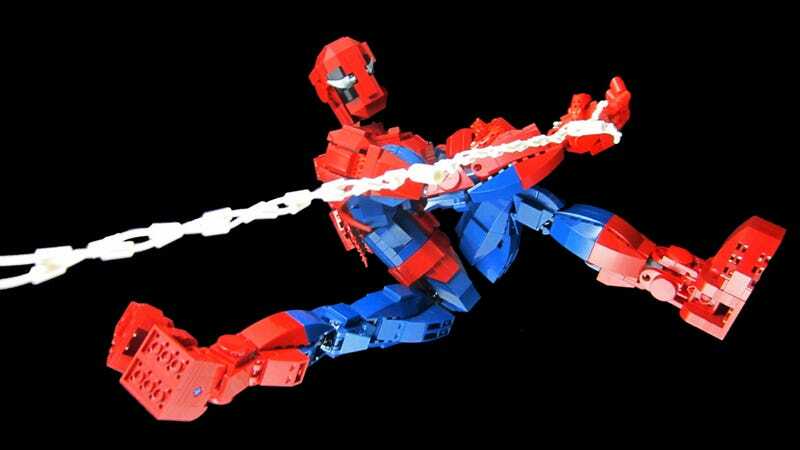 • The hips can now allow the legs up and over the wasteline allowing for those very spider-like poses. • His ankles have a second pivot joint for extra steep ankle poses, as well of full range of motion in the main joint. • His feet have an articulated toe piece to make those perching poses more natural. • I got a lot of feedback about some of my more lackluster photos of Batman, so I purchased better photo eqipment, seems to have made a difference, Thanks for the tips!